This weekend to coincide with the 40th anniversary of the release of Dario Argento's art horror surrealist cult classic film Profondo Rosso’s or Deep Red as it is known in English speaking parts of the world the Barbican will be playing host to what is sure to be one of the most memorable horror or more accurately Giallo related events to play out in London in recent times - when horror maestro Claudio Simonetti brings his band Goblin to play the score of Profondo Rosso live. Not only am I incredibly excited about this musical event itself as Claudio Simonetti's Goblin perform one of the most iconic horror soundtracks LIVE as the film is screened in the acoustically renowned Hall B of the Barbican (the home of the London Symphony Orchestra) but I was extremely privileged to chat with Mr. Simonetti about his work and creating the sound of many of the foremost cult classic horror films of the last four decades with the band Goblin. As well as being effortlessly cool in the way Italians can be, he was surprisingly candid and gracious with his time so we were able to have a decent conversation about a range of subjects, that when pulled together paint a high level picture of the passionate career of a man doing what he loves for the last 40 years whilst letting his music reach into our souls and play with our emotions like they are, well a synthesizer. After posting my interview with Claudio Simonetti a friend, a big John Carpenter fan asked me about Claudio Simonetti and it occurred to me that possibly not everyone is as big fan of Simonetti as me and has listened to his and Goblin's music. So I thought I would add a short bio to introduce the man and his music. Following in his father's footsteps a successful and popular composer and TV personality Claudio studied composition and piano at the Conservatore Saint Cecilia in Rome, eventually it was experimental rock that captured his ear as he chased his dream and he went on to form various bands including Oliver which went on to become Goblin. Fame came to the band when they did the soundtrack for arguably Italy's greatest/notorious horror director (he did after all invent the Giallo genre) Dario Argento for his film Profondo Rosso (Deep Red). It was at this time the band officially became known as Goblin. Dario Argento's Profondo Rosso (Deep Red) went on become a huge commercial success internationally and won critical acclaim. For many Profondo Rosso would define Dario Argento's style for them. But the real surprise was Goblin's soundtrack which - recorded in ten days went on to sell over a million copies in the first ten months and stayed in the Italian charts for 52 weeks it attained No.1 on the charts in both the LP and singles categories making Profondo Rosso one of the highest selling horror film soundtracks ever made. It has subsequently gone on to sell over four million copies as well as influence cinematic sound across multiple genres. The sound of Profondo Rosso is a fusion of Giorgio Gaslini's jazz, blues funk and Goblin's own intriguing surreal symphonic rock Baroque hybrid created with Claudio Simonetti's Minimoog synthesizer, bass, drums, guitars, harpsichords, a church organ and creepy vocal lullabies. This seminal sound would later be expanded and solidified with Goblin's defining and quintessential soundtrack for Dario Argento's Suspira (my personal favourite). History has proclaimed that Profondo Rosso is the absolutely essential sound of Dario Argento, Goblin and Italian horror film. 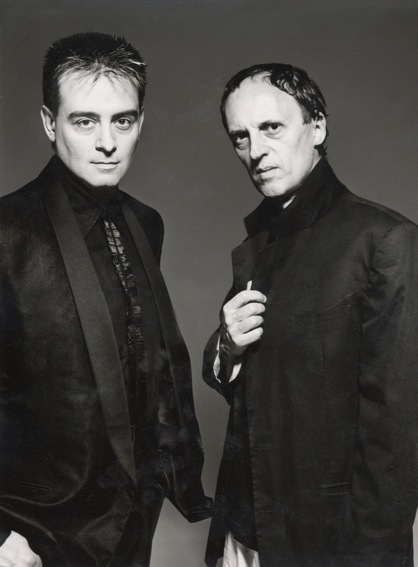 Goblin and Claudio Simonetti went on to define the sound for many of Dario Argento's films before parting ways and separately continuing their careers. Claudio went on to work with other acclaimed cult directors like; George A. Romero, Bruno Corbucci, Lucio Fulci, Ruggero Deodato, Lamberto Bava, Sergio Martino, Umberto Lenzi, Menahem Golan and Enzo G. Castellari on the true apocalyptic cult classic Warriors of Wasteland or The New Warriors (another personal favourite of mine) continued to create progressive rock, dabble in Disco during its heyday as well form the heavy metal band Daemonia. Goblin and Simonetti reunited briefly to score the soundtrack for Dario Argento's Sleepless. Goblin continued touring in various forms and Daemonia later became Claudio Simonetti's Goblin. 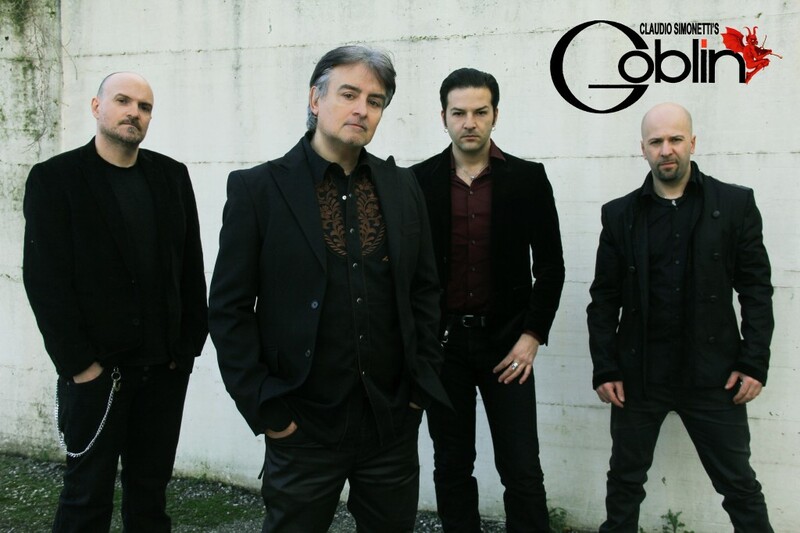 In my chat with Mr. Claudio Simonetti goes into a little more detail about Goblin's history. 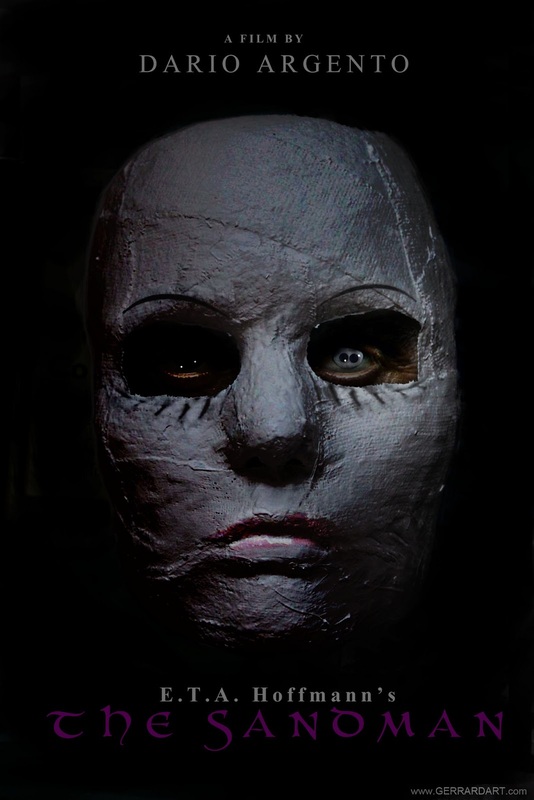 Simonetti also let us know what we can expect from the live performance and screening of Deep Red at the Barbican. For a bonus point I managed to discover Claudio Simonetti's favourite horror films. I say our chat but Claudio did most of the talking so it is unsurprising that he was flagging a bit towards the end of our chat, as was I, despite that he was happy to give me a fair amount of time - even so - sadly I didn't manage to chat about the actual content of any of the films he has scored and the part that play in the psychology behind his music or indeed where he goes and how he creates the hypnotising and transcendental music that stares into our souls, scares, lulls and moves us or to my shame the rumoured 3D remake of Suspiria. As with many of Dario Argento's film, in Profondo Rosso the lead protagonist is the proverbial fish out of water as David Hemmings plays Marcus Daly an English pianist and music teacher who whilst working in Turin stumbles onto a murder and goes down a dark and increasingly terrifying path as this every man sets about to uncover the killer - a mysterious figure wearing black leather gloves, played by director Dario Argento himself. Whilst Goblin's soundtrack gently lulls us down the same disturbing path. Horror aficionados may each may have a favourite Dario Argento film but many agree Profondo Rosso is the prime example of Argento's twisted genius and "showcases the technical bravado and ... shock tactics that made Argento famous". A surreal masterpiece from Dario Argento with a pounding score from cult prog rockers Goblin, Deep Red will leave you battered and breathless! Mr. Simonetti the music of Goblin transcends film and becomes more of an experience than sound accompanying flickering imagery on a screen and even as we come up the 40th anniversary of Deep Red is still to this day is compelling. Anyone watching Deep Red for the first time will be blown away. What is is it about your music that is still so engaging after so much time? It is strange - when we play live now - most of our audience are young. I don't know why a younger audience are so taken with Dario Argento's films and the music - maybe its because its something different. Claudio before we start discussing Profondo Rosso or Deep Red as it is known over here, can we chat about your background before working with Dario Argento and can you tell us a little bit about your drivers, influences and history leading up to working in film? I started out at the end of the 60s with a young band and we were influenced by many rock bands from the 60s and 70s, like of course the The Rolling Stones and The Beatles, and later the prog bands like Procol Harum, Deep Purple, Emerson, Lake & Palmer, King Crimson, Yes, Genesis. We did a lot of cover music from these bands all over the world, so I grew up with this sound. Before Deep Red I formed a band called Oliver, we recorded some demos, but and when we recorded Deep Red we changed our name to Goblin. That was our first real band. I would like to go back to the sound of Deep Red. It was your first foray into film and with a very well known Director an Italian master of the genre in fact - Dario Argento. How did that come about, how did a collaboration between Dario Argento and Goblin come into existence can you shed some light on the myth? Well, after Dario Argento finished shooting Deep Red he worked with a Musician called Giorgio Gaslini. Gaslini was the original composer for Deep Red. He actually wrote music for the film and the scene with the orchestra and the lullaby for the baby are written by Giorgio Gaslini. But Dario decided that he preferred not to go in an orchestral style direction for Deep Red, he said he would like a more rock sound. So he asked the Producer of the soundtrack to call bands like; Deep Purple, Pink Floyd and Emerson, Lake & Palmer. But as luck would have it - we had returned to Rome from recording in London and signed up with CineVox Records who were producing our album as Oliver. The producer Carlo Bixio said to Dario Before we call these big bands I would like you to listen to this band I'm producing here in Rome. Dario came into the studio and he liked our music that we were recording and decided to give us a chance to play Giorgio Gaslini's music. So we started on Profondo Rosso recording Gaslini's music but during the recording sessions Dario and Giorgio had creative differences and Giorgio decided to leave the film. But Dario still needed the main themes which weren't written yet - so he asked us to try write the themes and we ended up creating the main themes like the most famous Deep Red amongst others. If you listen to the original Profondo Rosso album side A is Goblin's music and side B is Giorgio Gaslini's music performed by Goblin. Dario's decision turned out to be very lucky for us as after just 10 months the album sold over a million copies. And after 40 years it still has a following and young people are still discovering it. You just mentioned Progressive Rock, I was wondering is that still how you categorise your style of music, is it more Gothic rock or has your music defined its own genre, so to speak? You know when we started in the 70s we didn't have a title for the music, now we have Gothic, Heavy Metal and many different titles for the music, even Prog didn't exist in the 70s. Prog was invented later. We just played Rock. I really don't know how to catalogue Goblin's style of music. Yea, maybe in the beginning it was Gothic for Profondo Rosso (Deep Red) and the Cherry Five album that was released later with a different name. That was more Gothic. But when we wrote other soundtracks, for example Dawn of the Dead (George A. Romero's Zombi) soundtrack was very Rock orientated. But every soundtrack has its own sound and mood so it would be difficult to catalogue our style of music into a single genre. I think that is part of the magic of the sound of Goblin, it isn't like anything else and constantly defies definition. Maybe, when we started recording Deep Red you can hear certain influences - but by the time we recorded Suspiria I think our sound is unique and that was the sound that made Goblin famous started coming through because we invented something. In the same way we were influenced by other musicians we started influencing other bands. I'm really interested in the musical process you and Goblin go through when you score a soundtrack can you tell me a little bit about how you go about getting the sound, mood and tone so right? In the beginning, when we scored films like Suspiria and Deep Red we just got into a studio and recorded music. Sometimes we saw scenes and tried to write music over them and we actually wrote a lot, a lot of different stuff. Then the Editor and the Director would cut the music to fit the scenes. Now I work in a completely different way, now I use computers and can write music over every scene - but not in the 70s. Usually we would play and record the music and they would cut it over the scenes. Sometimes there were many different cuts of the same songs that we never played the editor cut them. Was the score for Suspiria when you first started to write for and over scenes? No, actually for Suspiria Dario asked us to write the music using the script and Dario used parts of it to help the actors on the set. But when the film was completed and we saw it – we felt the music we wrote before, wasn't right for it. You can't write the music before the film. It's like reading a book and then going to see the film. The film is always completely different from the book, the same happens with scripts. I don't like to read the scripts. These day when someone proposes a project and they say I'll send you the script I always say no I don't want to read the script I want to see the film. In the end did you re-score Suspiria before the film was released or did you keep the music you were unhappy with? No we didn't use any of it. We composed new and completely different music. Actually we were very disappointed because we lost the original soundtrack tapes - so we don't have any of the original recordings. You have worked on many films with different directors but you seem to have a special relationship with Dario Argento, can you tell us a little bit about what it is like collaborating with Dario on a film? I've worked on 14 films (as well as other projects) with him including his next one The Sandman with Iggy Pop which he'll shoot this year. Even though I have worked with other directors multiple times like; Ruggero Deodato, Lamberto Bava and Lucio Fulci, Dario is the one I've worked with the most and we have been very good friends for over 40 years. Every film of Dario's is a new adventure because every film is so different. With every film I try to do something new and write something different from the other films. I know Iggy Pop is has an acting role in starring in Dario Argento's The Sandman but I have to ask has there been any discussion of Iggy Pop and you collaborating musically on The Sandman? Ha, ha of course I would like to work with him. I would be honoured to have Iggy Pop feature on the soundtrack for The Sandman. I haven't met him but I think it might be a possibility. I would love that to come together. We were just discussing new sounds and it would be interesting to hear what you two come up with together. Yea it might be something very strange because our styles are so different. Video: Dario Argento feat. Iggy Pop in The Sandman : Support via Crowdfunding! Well Tubular Bells was released in 74 and Dario asked us to write something with a sequencer and repetition of notes. The same thing happened with John Carpenter and his sound for Halloween, if you listen to the three songs, you can possibly hear the same notes and the same sequences but they are completely different from one another. Claudio & Daemonia actually covered both Mike Oldfield's Georgetown/"Tubular Bells" from The Exorcist and John Carpenter's Halloween Theme (Main Title) on their 2001 album Live... Or Dead. Talking about John Carpenter. What is your relationship with John Carpenter like? I ask as I am surprised that you two have not collaborated on a project yet? Your styles seem very complimentary and a brilliant match. Ha, ha. I have actually only met John Carpenter once and it was very funny, two years ago at the Weekend of Horrors Convention in Los Angeles. When we were introduced I said I am Claudio Simonetti the composer. You won't believe this - do you know what he said? Yea! I know you very well. I stole all your music. As we are talking about American masters of the genre - I have to ask what was it like working with George Romero on Dawn of the Dead? Well we wrote the music for Dawn of the Dead for George Romero. The original soundtrack was not done by Goblin. They first released Dawn of the Dead in 78 in America with another soundtrack which I think Romero selected from a sound library or something like that. It was actually Dario that asked us to write a new soundtrack for Dawn of the Dead and the film was re-released with Goblin's music in America. But the strange thing is that I never met George Romero and he never called us again to work on one of his films. Really!? That is very sad. Your Dawn of the Dead soundtrack is chillingly disturbing. Do you know why? I sincerely do not know, possibly because we are based in Italy and too far. Maybe things would have been different if I lived in Los Angeles. Earlier you mentioned similar pioneering bands to Goblin like; Pink Floyd, Deep Purple, Yes and Emerson, Lake & Palmer - do you ever feel that your film soundtrack sound has become so big that Goblin and Claudio Simonetti are now synonymous with the horror film genre and you are typecast, so to speak, for this sound only? Mmhh! No! Many bands have worked on similar films. As an example Dario still loves Emerson, Lake & Palmer and when he was making Inferno he called Keith Emerson for the soundtrack. And Pink Floyd worked with Michelangelo Antonioni on the soundtrack for Zabriskie Point. Dario actually asked Deep Purple to write the music for Four Flies on Grey Velvet. They started writing the music, but because it was an Italian film an Italian composer was needed, so Dario called Ennio Morricone. Morricone has done a lot of Dario Argento's films, especially in the beginning, but that is completely different genre. I have done more than sixty films. The most famous are Giallo horror movies but I have done a lot of different music; comedies, TV work, Science Fiction, a lot of variety. It's strange but the most difficult music to write is music for comedies. I love creating soundtracks as they permit me to write something that I might otherwise never write. As an example I might never, never have written something like the music for Suspiria had I not worked on the film. Film inspires me to write something different from what I would write working on my own because I like to write the music over the scenes, never before. Claudio skipping forward, are there any recent film soundtracks that you have heard, that have stood out for you? No. Sincerely not. I have seen many good films but horror film music these days seems very standard. There is a typical Hollywood style which I don't really like, it's boring. Even if the film is very good you hear the same stuff over and over again..
A lot of musicians do the same music because it is a cliché. As an example when I saw the remake of Dawn of the Dead, the film was great. Usually remakes are really bad but Zack Snyder made a great film - however I felt there was something missing – the music. I feel when you see Dawn of the Dead with our music, I feel it works really well. Yea! It definitely it is an experience. 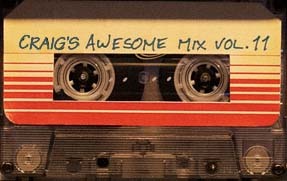 So even though the new Dawn of the Dead is very good the music is missing something. It feels like normal music, classical horror movie music, not very special. I miss the old style of music. I don't know why but it feels like Directors put less focus on horror film music now. 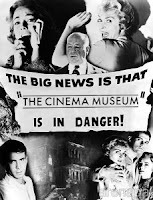 Are there any recent horror films that have impressed you? Yes, there are lots of good new films, one that comes to mind is Mama which Guillermo del Toro Produced. The Spanish do very good horror - I also enjoyed The Orphan also from del Toro. There are many good new films out now. 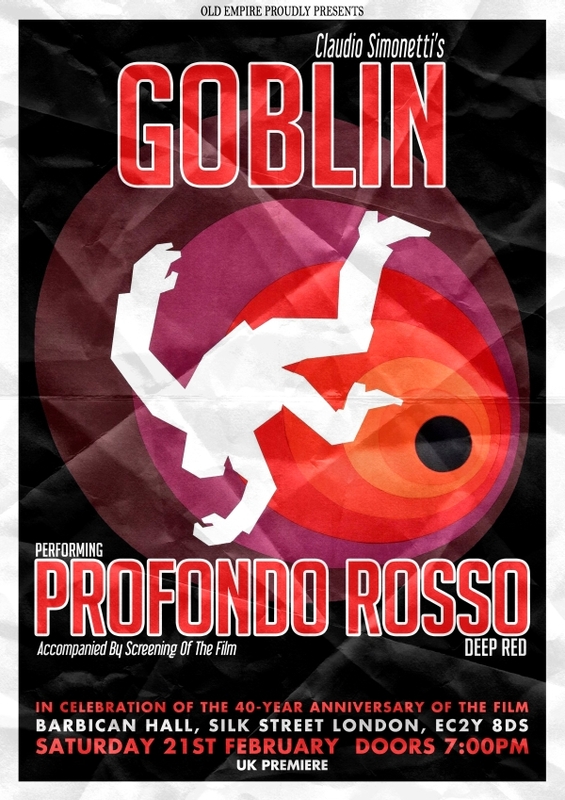 What can we expect from the Goblin Profondo Rosso live experience at The Barbican? Ah well we will see a beautiful film, one of my favourites possibly one of the ten best horror/thriller films in the world. But I think people will be listening to hear the original soundtrack live. When we play Profondo Rosso or Suspiria live we use the same instruments and do the same arrangements as we had originally done in the beginning. We will play in the same style as the 70s, we will keep the same sound except for a few parts where we may improvise something new as there are parts without music. Mr Simonetti for my final question - can you tell us your favourite 5 horror films? yea! For sure Psycho, The Exorcist, Halloween, Profondo Rosso, Suspiria and The Bird with the Crystal Plumage was a great film. Also I grew up with Hammer Films with Christopher Lee as Dracula they are my favourites even the music is beautiful.